The warmest season of the year is here and it’s time to fire up those grills. 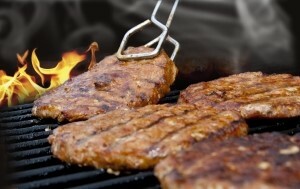 Cleaning, maintaining and making sure you have the correct grill parts, http://bit.ly/1tl7SKg, is fundamental to grilling the perfect meal. What you need to clean your grill are a terry cloth, sponge, rubber gloves, sponge, mild glass cleaner, stainless-steel cleaner, stainless-steel grill brush and paint scraper. If it’s a gas grill begin with the exterior, with the lid and the bowl. If it’s a charcoal grill take the same steps just don’t forget to review inside the lid to see if there’s any peeling. When it comes to maintaining your grill you just want to take some extra cleaning steps as following: clean the burner and tubes, wash the grill( just don’t forget to cover the valves with foil to prevent the connections from corrosion) and don’t forget to keep your stock fuel levels clean. And when it comes to grill parts letstalkparts.com has all your grilling needs.